FreeBSD ® is an advanced operating system for modern server, desktop, and embedded computer platforms. FreeBSD's code base has undergone over thirty years of continuous development, improvement, and optimization. It is developed and maintained by a large team of individuals. FreeBSD provides advanced networking, impressive security features, and world class performance and is used by some of the world's busiest web sites and most pervasive embedded networking and storage devices. 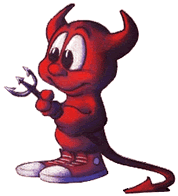 FreeBSD is x86 compatible (including Pentium® and Athlon™), amd64 compatible (including Opteron™, Athlon™64, and EM64T), ARM, IA-64, PowerPC, PC-98 and UltraSPARC® architectures. It is derived from BSD, the version of UNIX® developed at the University of California, Berkeley. It is developed and maintained by a large team of individuals. Additional platforms are in various stages of development. It is easy to contribute to FreeBSD. All you need to do is find a part of FreeBSD which you think could be improved and make those changes (carefully and cleanly) and submit that back to the Project by means of send-pr or a committer, if you know one. This could be anything from documentation to artwork to source code. See the Contributing to FreeBSD article for more information. The Ports Collection supports the latest release on the FreeBSD-CURRENT and FreeBSD-STABLE branches. Older releases are not supported and may or may not work correctly with an up-to-date ports collection. Over time, changes to the ports collection may rely on features that are not present in older releases. Wherever convenient, they try not to gratuitously break support for recent releases, but it is sometimes unavoidable. When this occurs, patches contributed by the user community to maintain support for older releases will usually be committed. This page was last edited on 10 August 2016, at 21:06.